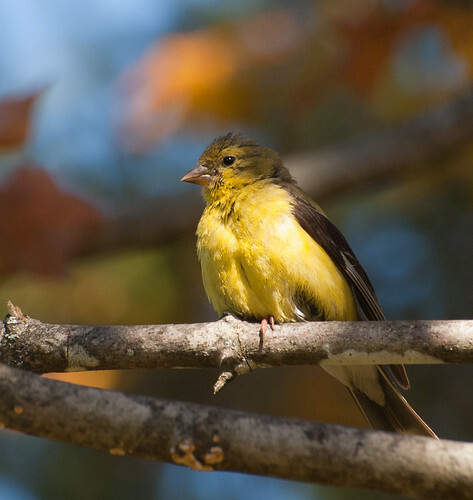 The American Goldfinch is a common visitor to our backyard, visiting both the sunflower and nyjer seed feeders. And goldfinches never come alone, seems there is always a minimum of three when they show up and often many more. Their song, which they chatter quite effusively, seems so cheerful that I think they must be very happy birds. 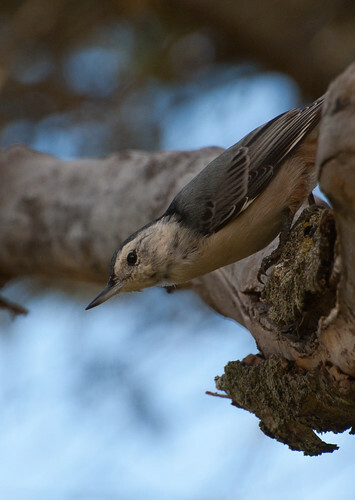 The white-breasted nuthatch is another common bird in our backyard, though it seems to prefer to feed on insects in the maple tree rather than visit the feeders. Its brethren, the red-breasted nuthatch, however, shows no such aversion to visiting the sunflower feeder. 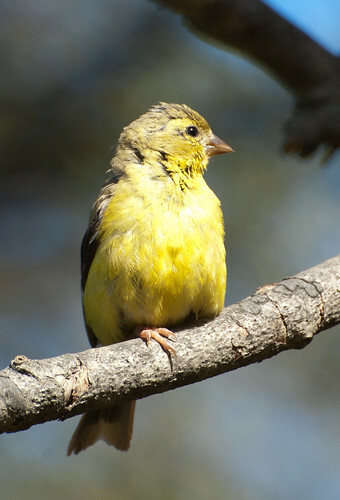 The goldfinch is the state bird of my native New Jersey. This entry was posted on 12 December 2013 by patacoate. It was filed under iPhone and was tagged with American Goldfinch, White-breasted Nuthatch. Such wonderful shots, I wish I could take pictures like this!